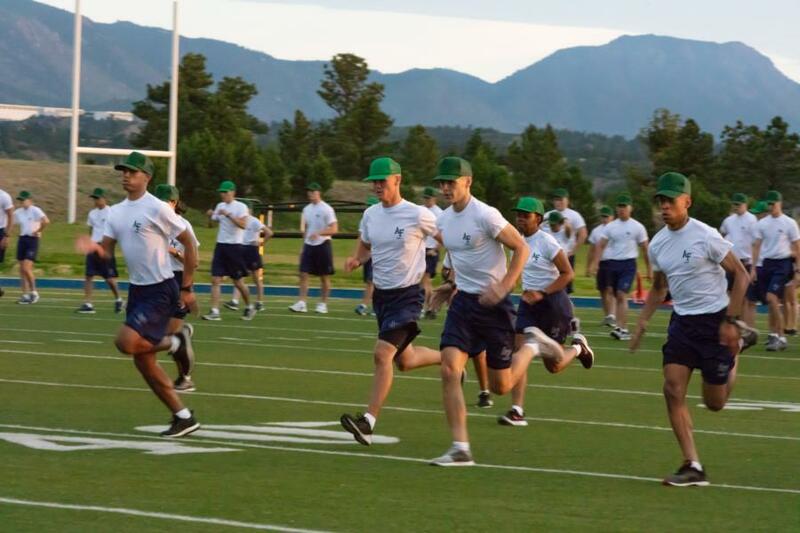 It's a beautiful Colorado morning, and it started early (actually they all do during BMT). Nothing like getting some exercise to start the day and work up an appetite for breakfast. As you look at today's photos in the gallery, you will see them doing specific exercises. These are not random. 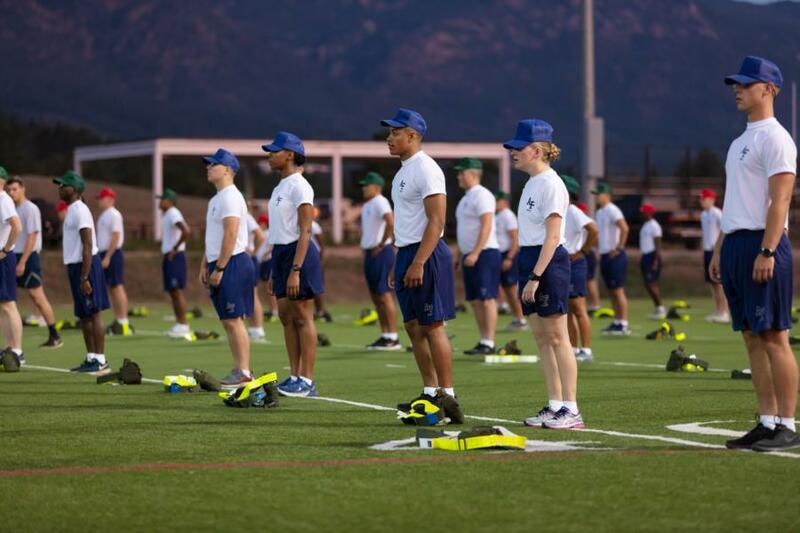 They are already starting to practice the different parts of the Physical Fitness Test (PFT) that they will take towards the end of BMT. By now I am sure you have found your way to all the photos. 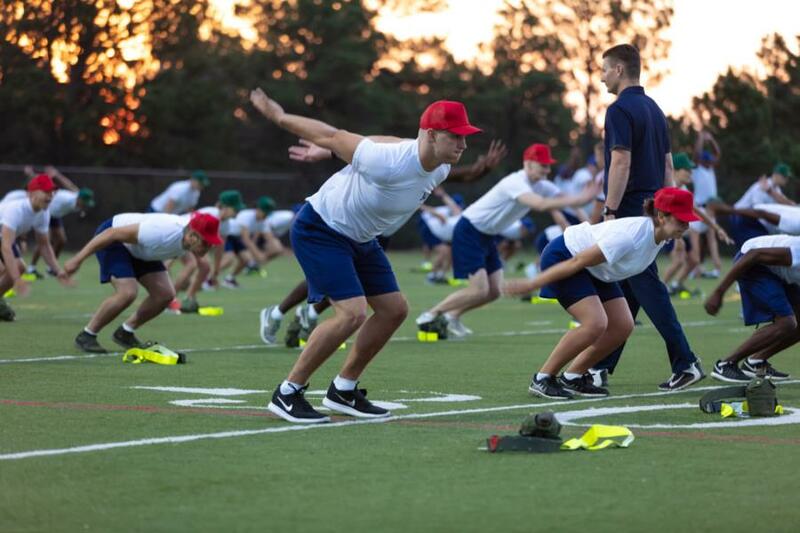 These first few days of BMT are all about getting oriented to the military and doing the in-processing tasks necessary of anyone entering the Air Force. In fact looking ahead through the upcoming weekend, I want to manage your photo expectations. We will have some coverage every day except Sunday. That being said, some days will be very light. Some days we will not get photos of every squadron. It's not that we don't want to cover what they are doing, it's just that a great deal of their day during the first week is spent sitting in the theater receiving briefings. Not exactly a good photo opportunity. We do our very best to give you a daily view into BMT. We know that our coverage helps many of you lessen your anxiety about your kids. We just ask that you refrain from the temptation to count photos or the coverage each squadron receives. We have found from long experience that it all comes out pretty even in the end. So, that being said, today is another busy BMT day for the Basics, but it is not a great photo day for us since apart from PT this morning, it is filled with briefings. Tomorrow is the first Intra-murals. The inter-collegiate athletes will work out with their teams and the remainder of the basics will be involved in a variety of team sports. It's a great photo opportunity and we will be there to cover it. Look for a blog and photos about the same time as today's. Sundays during BMT are not as hectic although the Basics are still up early. There are worship services in the morning for those who wish to attend or personal time for those who don't. The afternoon has some team building activities, but it is low key. We won't have photo coverage on Sundays. Our photographers need a little down time too, but by then you will have plenty of photos to look through and download. That's it for this morning. This will be the only blog for today, but I will be back tomorrow for sure with more about what's ahead. The PFT photos are all up in the BMT gallery.